When I was 14 years old I was diagnosed with polycystic ovarian syndrome (PCOS), one of the most common endocrine disorders impacting 5% to 10% of women throughout the world. I had no idea what it was, how I got it, or what to do about. I barely even knew how it impacted my body. But, I did know it was the cause for my irregular menstrual cycle, acne, and excess hair growth. Although I was instructed to take birth control pills for an indefinite amount of time, my diagnosis was never discussed again. Fifteen years later I decided to get a second opinion! I had been hearing about all of the negative effects of using birth control long term and I did not want to continue taking them if I did not “need” to. After visiting with my Gynecologist and Primary Care Physician, I received a referral to a top Reproductive Endocrinologist. He ran the gamut of tests and confirmed the diagnosis of PCOS. The endocrinologist told me, based on the workup, to stay on the birth control pill and again, end of story. So, I decided to do a bit of research on the topic. Most of all, I wanted to make sure I was doing everything in my power to keep my body as healthy as possible despite the diagnosis. I have learned a lot about this condition over the past few years due to that research and I’m here to share the wealth! 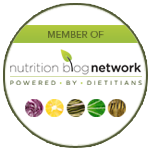 Why do lifestyle and nutrition practices make a difference after the diagnosis of PCOS? With early diagnosis and intervention one can modify the natural history of PCOS. Adopting a healthy, low-glycemic diet, controlling blood sugar, and maintaining a healthy body weight can greatly reduce therisk of developing the previous listed comorbidities. No single therapy for PCOS exists and physicians typically tailor treatment based on the patient’s therapeutic goals and specific symptoms. Common medical treatments include hormonal contraceptives (birth control pills) and metformin. In addition, it is vital to modify diet and lifestyle. Studies show favorable metabolic effects in women with PCOS after adopting a moderately low carbohydrate diet (40% of total calories). Not only does this dietary strategy help improve the metabolism, it also helps to lower circulating testosterone levels. Randomized, placebo-controlled clinical trials showed that the combination of medical intervention with lifestyle intervention is most effective for improving outcomes associated with PCOS. What kind of diet should I be on if I have PCOS? 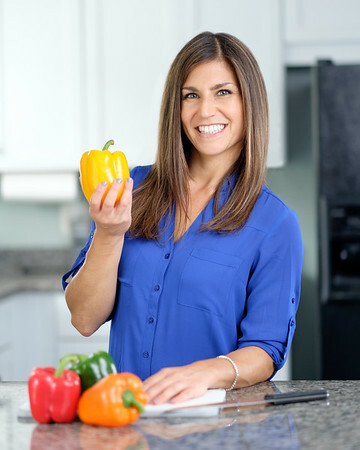 While there is no known “best” diet for the PCOS population, it is vital to address any metabolic and body weight concerns. Therefore, a Mediterranean style, low glycemic, low carbohydrate diet is certainly an effective strategy. Eating plenty of colorful vegetables, a few servings of fresh fruit, and legumes (beans/peas/lentils) is key. Additionally, consume nuts and seeds, anti-inflammatory oils/fats like avocado, olive, coconut, and grape seed oil. Focus on moderate intake of lean protein from poultry, eggs, fish, shellfish, dairy and even red meat, while limiting portions of whole grains. Most of all, avoid processed foods, fried foods, and added sugars. Weight loss of 5-10% of total body weight if one is overweight or obese will also help to improve reproductive and metabolic health. Watching portions and total calories will produce desired weight loss. Studies show that a higher protein (40% of total calories compared to 15% of total calories) can also assist in more weight loss for those with PCOS. In addition, incorporating regular physical activity, including 2-3 strength training sessions per week is helpful for those with stubborn weight loss. There are nutritional supplements that can be helpful for specific concerns of individuals with PCOS. Some of these include reducing testosterone, controlling blood sugar, lowering inflammation, improving the lipid profile and fertility. This article will not dive into that topic, but stay tuned for a later post! In conclusion, having the diagnosis of PCOS means that one should pay close attention to both metabolic and hormonal parameters. By changing modifiable factors like food choices, portions, activity, and body weight, one can reduce their risk of developing comorbidities.